Home › What is an SSL-Certificate › How to choose an SSL certificate? Small web sites that do not sell anything, but nevertheless they have, for example, a registration form, do not need a green address bar. In such case will be simple enough SSL certificate with domain validation for a low price. The main thing is that the data of your visitors will be safe. The advantage of such a DV (Domain Validation) certificate that it quickly enough issued- even for an hour. Moreover, it may buy one regardless of whether it is an individual, sole trader or a company. Online stores, for which it is important to organize the security of customer information and data about their orders, should use SSL certificates with checking organization (Organization Validation SSL) – it is a digital certificate of business level, which confirm the existence of company, its right to use specified domain and the confidentiality of transmitted information . Among SSL certificates this level are the most popular Thawte WebServer Certificate, Comodo InstantSSL, Comodo PremiumSSL, VeriSign Secure Site, VeriSign Secure Site Pro, AlphaSSL. Advanced SSL Certificates with EV provides the highest level of protection through enhanced verification of your company. Members of your site will always be able to see that the site is protected, even if they are not quite versed in matters of certification SSL, – green in any case draws their attention, releasing you from your competitors. As you know, more confidence, then more shopping online. With EV SSL, site conversion increases at times! Payment systems and online banking services for the protection of transaction should purchasing SSL certificates with Extended Validation (Extended Validation Certificates), which have the highest credit of trust among users, because they contain detailed information about the company that owns the domain. One of the features is the Organization Validation SSL green address bar that visually confirms the authenticity of the site. Buy SSL Certificates with Extended Validation, such as Comodo EV SSL, Thawte SSL Web Server with EV, VeriSign Secure Site with EV, GlobalSign EV, Geo Trust True BusinessID with EV and your business will become more successful and prosperous; To protect the transmitted information without confirming the status of the business, it is worth to buy SSL certificates with domain verification (Domain Validation SSL) – an entry-level certificates, which confirm the domain name of the site. Making this type of SSL certificate (Comodo PositiveSSL, RapidSSL and Thawte SSL 123) is only a few minutes, since there is no need to provide documents. 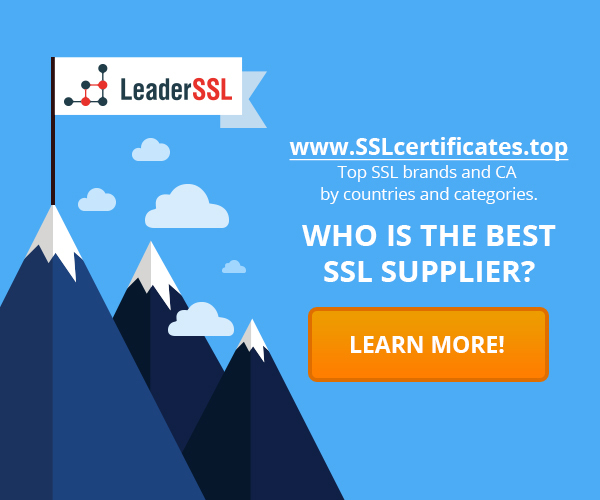 VeriSign SSL – why these certificates so expensive? DV SSL-certificates: what is it? SSL to protect the enterprise network: Why EV? Do you need a SSL-certificate with Extended Validation? ‹ Correct installation of SSL-certificate: how to verify this? I am genuinely pleased to glance at this website posts which consists of lots of useful facts, thanks for providing these statistics.